A spokesperson for Buckingham Palace has clarified that Princes Charles and William did not snub Donald Trump on his recent visit to the UK, because they never intended to meet with him in the first place. Totally different! People then went on to discuss in detail the warm relationship between the younger royals and the Obamas, including the time Barack Obama met a bathrobe-wearing Prince George during a 2016 visit. 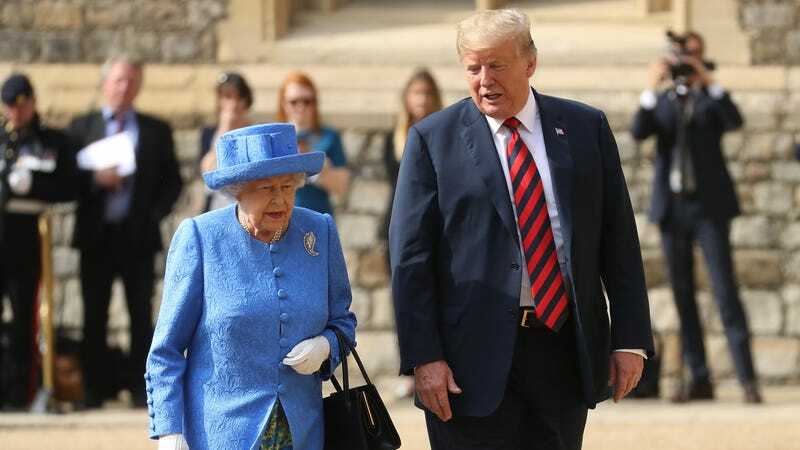 All Trump got, of course, was a quick tea with the Queen. What snub? I don’t see any snub. Do you see a snub?